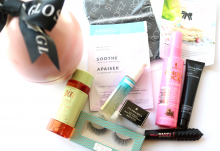 GLOSSYBOX is a subscription box delivering beauty and cosmetics samples to your door, that is available in ten countries. For every GLOSSYBOX, their expert team send you their selection of their must-have beauty products of the moment: five samples of the top cosmetic products of the moment, ranging from well-known brands to rising stars of the beauty world. As one of the most reputed international beauty boxes, GLOSSYBOX contains everything from make-up to perfume body care – everything you need to look and feel your best. The sample size nature of GLOSSYBOX’s products means that you get to test high-quality products that you might not otherwise have the opportunity to buy, and to make discover great brands that will go on to become treasured items in your make-up bag. 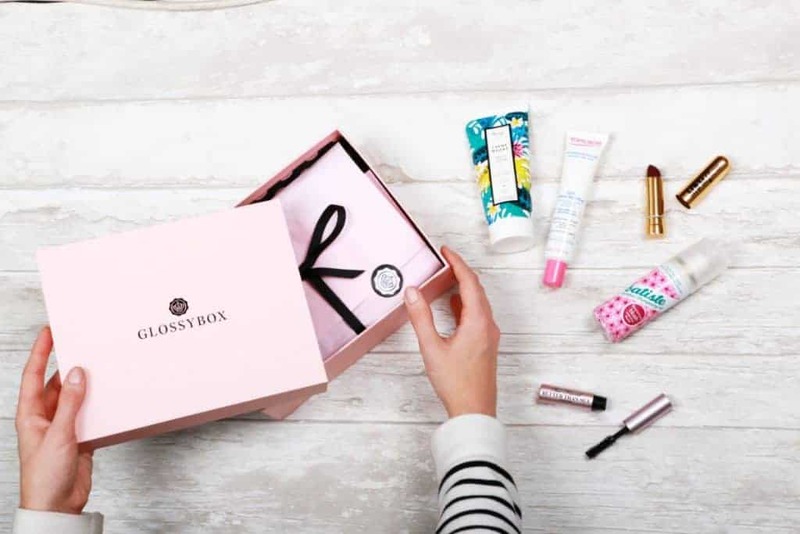 GLOSSYBOX is one of the original and most popular subscription boxes, and the value of the products in in each box often exceeds its retail price. Each month, it is a pleasure to open and discover the latest beauty products that are waiting to surprise you. In order to maintain the excitement for its subscribers, GLOSSYBOX does not reveal content of each box in advance. However, you are guaranteed to receive star products from innovative, high-quality companies including All for Eve, Arbonne, Alessandro International, 2 True, Agese Oils, Amie, Baxter, Becca, Bliss, Biosilk, Bioeffect, Carmex, and Burberry. In fact, GLOSSYBOX has over 500 partners – including the most prestigious, trendy, and cult beauty companies. Every month, the GLOSSYBOX team chooses a different theme, with the five samples carefully selected to bring a smile to your face upon opening the box, and to transport you to a different environment. Each box also contains a Glossymag editorial magazine, featuring articles to complement your Glossybox experience with make-up tips, lifestyle advice, and interviews with key individuals in the beauty industry. GLOSSYBOX also spoils its subscribers with a must-have accessory each month designed take your look to the next level. As one of the beauty boxes most present on an international level, GLOSSYBOX currently operates and ships to ten countries: UK, USA, Canada, France, Germany, Switzerland, Austria, Ireland, Norway, and Sweden. We’ve found that GLOSSYBOX never fails to surprise us with high-quality and interesting products that often end up becoming essential parts of our beauty routine. The fact that you fill in a beauty profile means that you are sure to receive products tailored for your skin type and appearance. We like the attention to detail, and enjoy the excitement of discovering a new theme each month – we challenge you not to get addicted! Three-month subscription: £28.50 + £3.25 P&P per month. A great Box with lots of different brands and high-performance products. It's rare to come across a beauty box where you'll use everything, but I always feel like I do with Glossybox. Excellent value for money too.